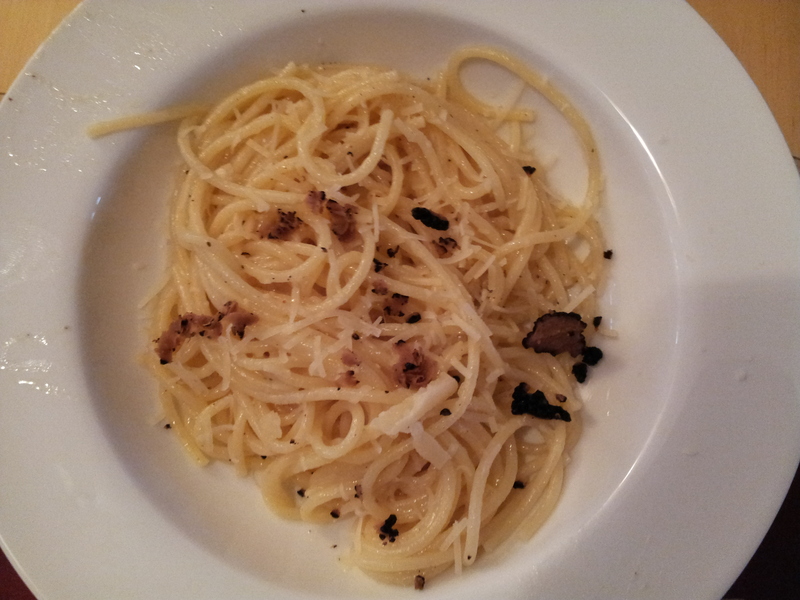 Some good friends gave me some Carluccio’s black truffles as a gift; the least I could do was serve it back to them. I thought this recipe would be one that Carluccio himself would be pleased with as it has minimal ingredients and ready in under 10 minutes. Mof-mof indeed. Cook the spaghetti in plenty of salted boiling water until al dente. Like, proper toothy. As the spaghetti is nearly cooked, gently melt the butter. When the pasta is ready add it to the butter at the same time as the parmesan. Toss like crazy and add a real big punch of black pepper. Serve immediately, grating over black truffle to taste. 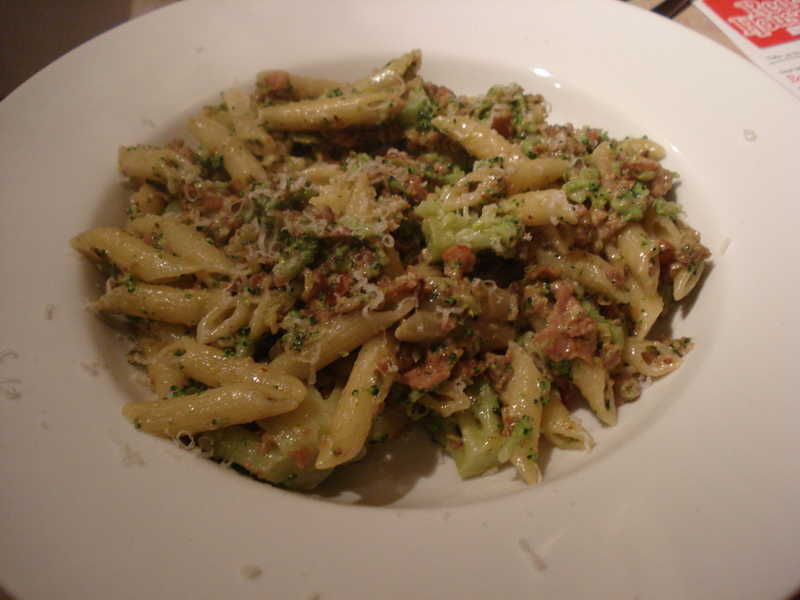 This entry was posted in black truffles, food, parmesan, pasta and tagged antonio carluccio on May 29, 2013 by Gary. 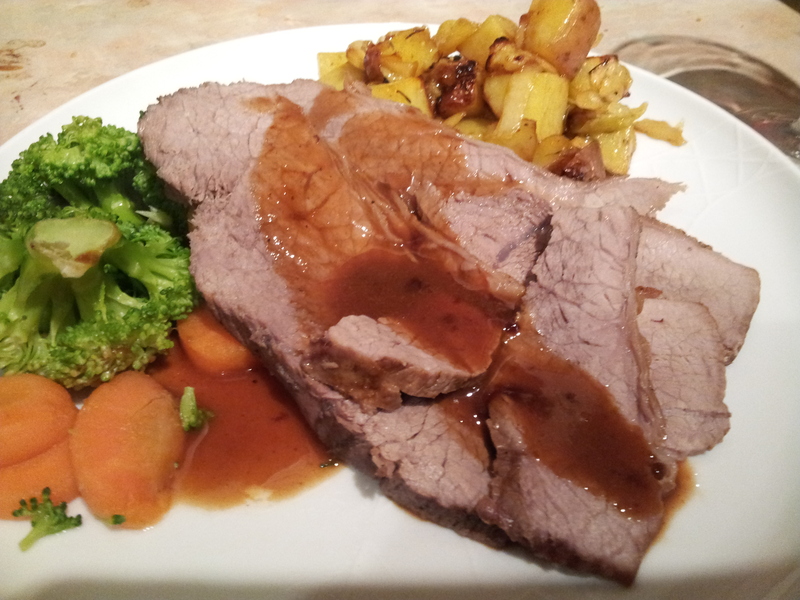 This entry was posted in food, parmesan, potatoes, veal on March 17, 2013 by Gary. I always mean to try interesting lasagna recipes – ones that aren’t classic lasagne al forno that is – but when I come to cook it I can’t resist meaty, tomatoey rich ragu topped with creamy bechamel. 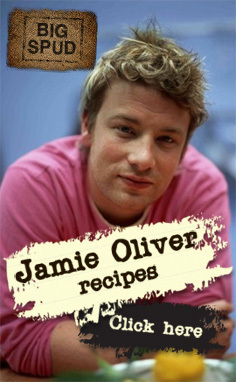 It takes Jamie Oliver to convince me to try it another way. This Summer veg lasagne is inspired by one from his 30 Minute Meals book. It’s perfect for the Summer months and ideal for clearing out the fridge! I grabbed a bunch of things that needed using up for here and it came out lovely. Get the kettle on to boil, get a large frying pan on a high heat and add a splash of oil. Put the oven on 180°C. Slice up the spring onions and add to the pan. Crush in the garlic and toss well to prevent sticking. Snap off the woody bits of the asparagus then slice up the stems, but leave the tips intact and keep to one side for now. Add the chopped stems to the pan with a splash of boiled water. Add the peas and greens and keep stirring. Chop the basil and add to the pan with the cream and add plenty of seasoning. Cover with stock and bring to the boil. Get a roasting tray and start to layer up lasagne sheets and veg mix until you have used everything up. Finish with pasta. Add a splash of boiled water to the cottage cheese to slacken and then spread over your pasta. 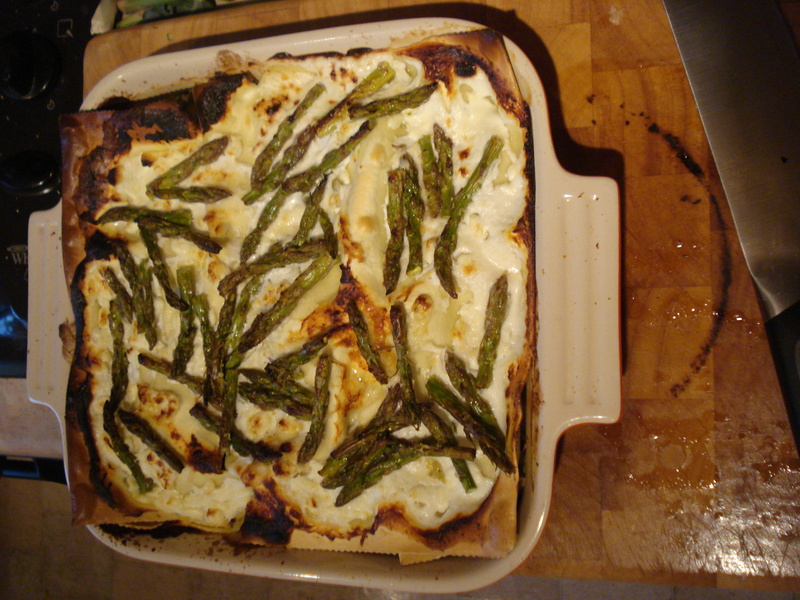 Scatter the asparagus on top of the cottage cheese and grate over plenty of parmesan. Transfer to the oven and bake until golden and crunchy. Serve with panzanella. 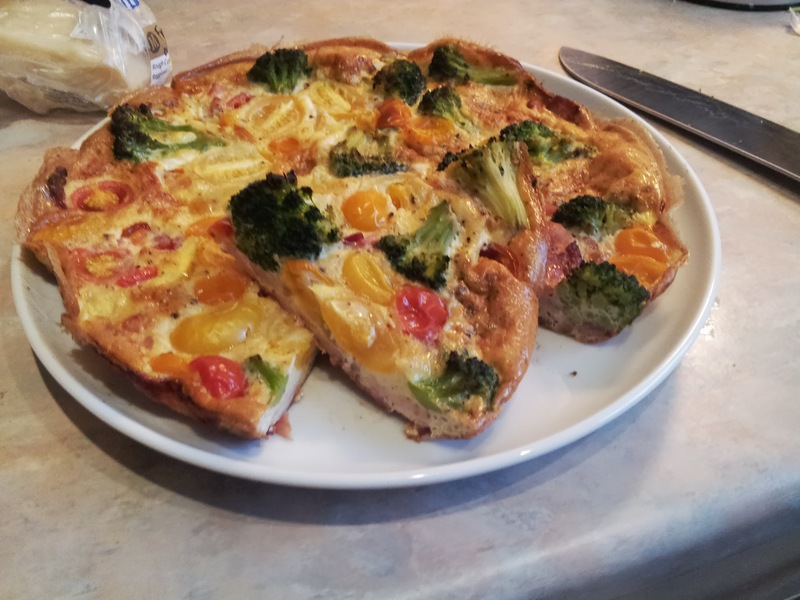 This entry was posted in asparagus, cottage cheese, food, lasagne, parmesan, pasta, peas, spring greens, spring onion and tagged jamie oliver on July 13, 2012 by Gary. I absolutely love Two Greedy Italians. Not only are Gennaro Contaldo and Antonio Carluccio the most avuncular and affable guys on TV, joshing and fondly trading insults, they also serve up some jaw-droppingly good Italian food. In the series where they tour Italy, revisiting places of their youth and being tourists everywhere else the former colleagues eat their way through just about every culinary region of the Old Boot. In this episode traversing the Alps, they went to a region where they historically couldn’t grow wheat so used chestnuts for all their flour. Gennaro then used this to make a delicious chestnut gnocchi with mushrooms. I had to give it a go myself, but all my previous attempts to make gnocchi have been messy, hideous and not worth the effort. The recipe also isn’t listed on the site. So I bought shop-made gnocchi and improvised a sauce. This was fab, I’m definitely doing it again and I hope I’ve paid enough tribute to Gennaro’s original recipe. Watch the sweetness, you will probably need a good dose of salt to balance it out. The recipe is probably in Two Greedy Italians Eat Italy , but I don’t have it so no guarantees! In a small saucepan heat some oil over a medium heat. Add the garlic, Worcestershire sauce, a pinch each of salt and sugar and cover the pan. Cook for 3-4 mins, stirring regularly until the garlic is starting to brown. Add the Marsala and allow to reduce by half. Then add the beef stock and reduce this by half. Add the chestnut puree and check for seasoning. Keep warm while you do everything else. Into a frying pan add a knob of butter and the mushrooms. Fry for 8-10 mins until the mushrooms are browning, then add a good whack of black pepper. While the mushrooms sizzle, cook the gnocchi for 2-3mins in salted boiling water until floating at the top. Drain until needed. When the mushrooms are ready, add the sauce and gnocchi to the pan and toss vigorously to combine. Give it a final check for seasoning and top with parsley and parmesan for serving. 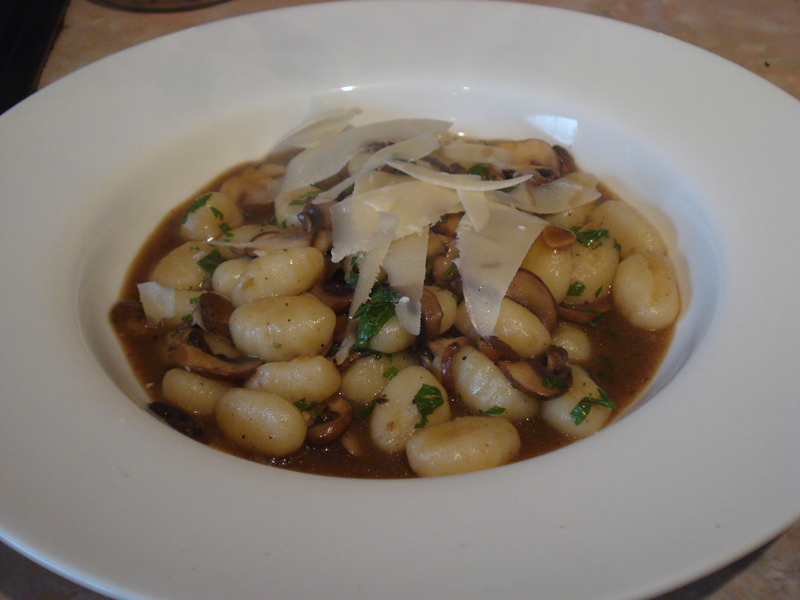 This entry was posted in chestnuts, food, gnocchi, marsala, mushroom, parmesan, stock on May 16, 2012 by Gary. Yes eagle-eyes, you’re right: that’s not macaroni in the picture. But this recipe is full of substitutions. What it tells me is this recipe has a great base from which to build on. 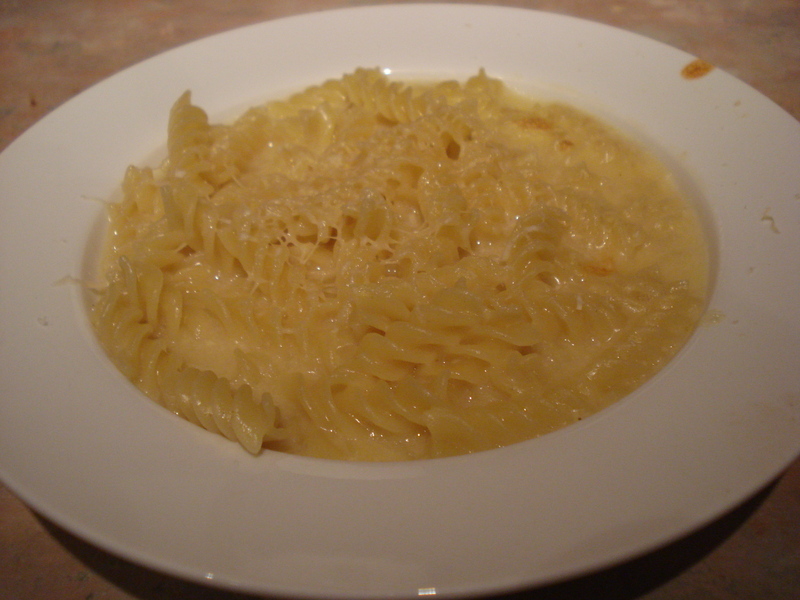 This is Heston’s recipe for macaroni cheese from How To Cook Like Heston, and is predictably very, very tasty. Like most people I usually kick cheese sauces off with a roux, but this approach melts cheese into reduced wine and stock. I’m amazed it works. I think I let the cheese cook a tiny bit too long and it started to split on me, but just about caught it in time. I also veered off from the recipe as I didn’t have a posh cheddar, nor cream cheese in the house but instead let it down with pasta water. That’s another bonkers bit – in the original recipe the pasta is cooked in a very shallow amount of water but I didn’t quite have the attention to monitor that one today. I boiled it in the usual way and it worked just fine. I’ll definitely be making cheese sauces from this base in future – no more floury rouxs for me. 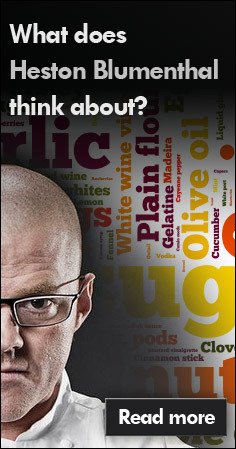 The original recipe is here, and you can find it in Heston Blumenthal At Home (as “truffle macaroni”) as well. Get the pasta on to boil in a large saucepan of salted water and cook according to the packet instructions. In a separate pan reduce the wine down to “30ml” (I have no idea how you can easily tell what level you’re down to without a lot of faff so eyeball it and trust your gut). Add the stock to this wine reduction. Preheat the grill. Toss the cheese with the cornflour and add to the winey stock. Turn the heat right down low, add some black pepper and stir until thoroughly combined. As soon as it’s smooth turn the heat off. Drain the pasta and reserve some of the water. Trickle over a tiny amount of truffle oil, toss and add to the sauce, then transfer to a baking dish. Top with the parmesan and pop under the grill until bubbling. 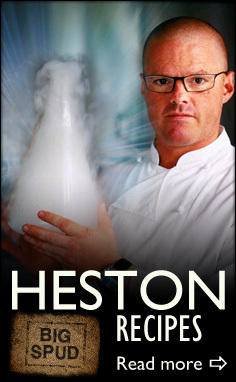 This entry was posted in cheese, food, parmesan, pasta, truffle oil, wine and tagged heston blumenthal on February 6, 2012 by Gary.